Two baby javelina, just days old, are being cared for at Tucson Wildlife Center after well-meaning people took them from their herd. The babies were left behind after dogs scared away their herd. Instead of leaving the area with their dogs so the herd could return for the babies, the people picked up the baby javelinas, which still had umbilical cords attached, and took them home to care for them. Realizing that it is not legal to hold native wildlife, the people took them to a veterinary clinic and the clinic staff called Tucson Wildlife Center. Because the people who picked up the baby javelinas did not leave their contact information or the location where the babies were found, Tucson Wildlife Center cannot return them to their mother. Instead, the babies will be placed with Tucson Wildlife Center’s two adult javelinas who have successfully fostered hundreds of other orphaned babies. Like the other orphans that have been successfully returned to their native habitat by Tucson Wildlife Center, these babies eventually will be released on a safe ranch site. Tucson Wildlife Center staff and volunteers take great care to ensure wild animals are not imprinted on their human caregivers or habituated to people, thus increasing the animals’ chances of survival when they are returned to the wild. If you encounter baby javelina, do not pick them up. Leave the area to give the herd a chance to return for the babies. 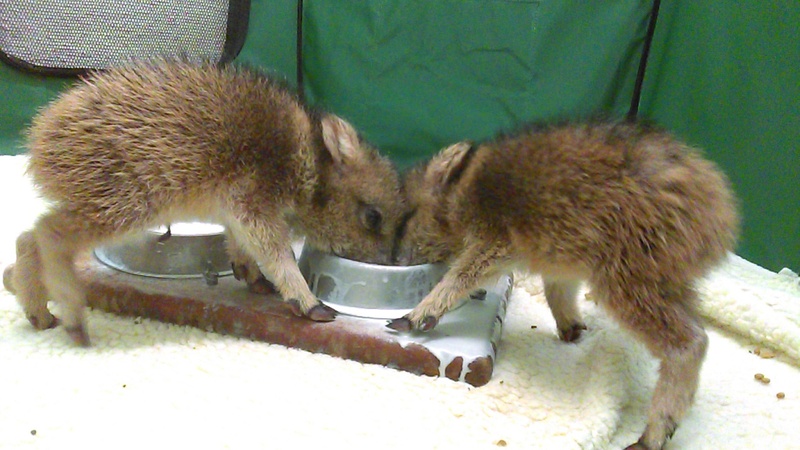 If you are concerned for the safety of the baby javelina, please call Tucson Wildlife Center. For more information or if you see wildlife in need of help, call Tucson Wildlife Center at 520-290-WILD (9453). Tucson Wildlife Center, Inc. is a registered 501(c)3 nonprofit organization and receives no government funding. To make a tax deductible donation to support the center’s rescue work, go to “Ways to Support”on our Home Page.